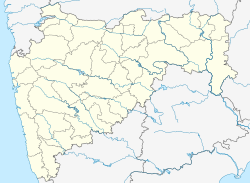 Nashik (Marathi: नाशिक)(pron:ˈnʌʃɪk) ( pronunciation (help·info)) (an aa spelled as Nasik) is a ceety in wastren Indie in the state o Maharashtra. ↑ "jjkent.com". jjkent.com. Retrieved 2013-09-28. This page wis last eeditit on 11 Mairch 2018, at 11:18.